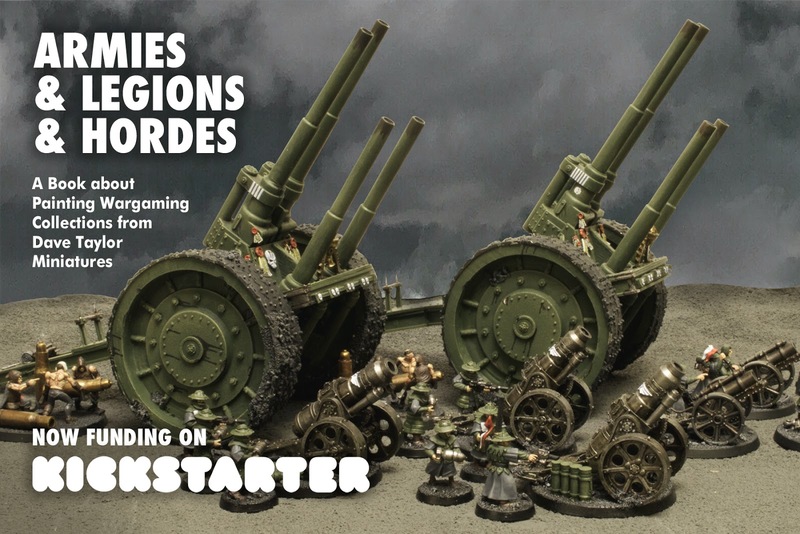 Those of you who have read my hobby recap for 2018 might remember the fact that I backed two hobby related Kickstarter projects last year, one of them Dave Taylor’s book “Armies & Legions & Hordes”. 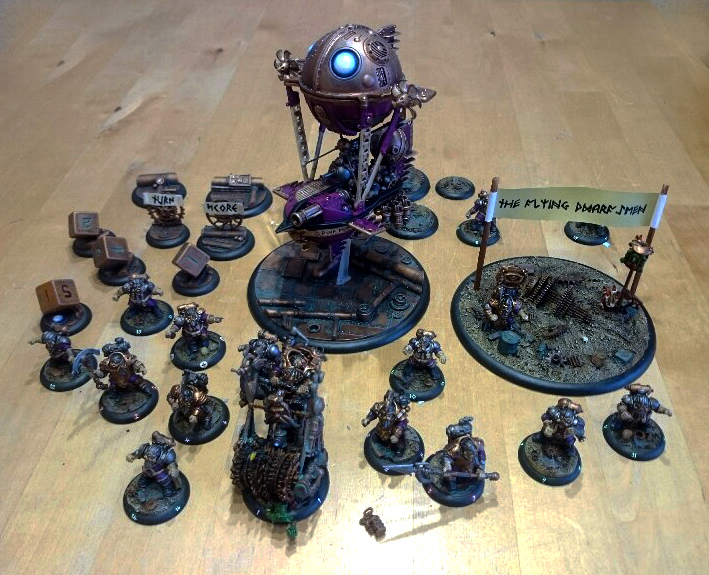 If you have been in this hobby for a bit, chances are you’ll be familiar with some of Dave ’s work. 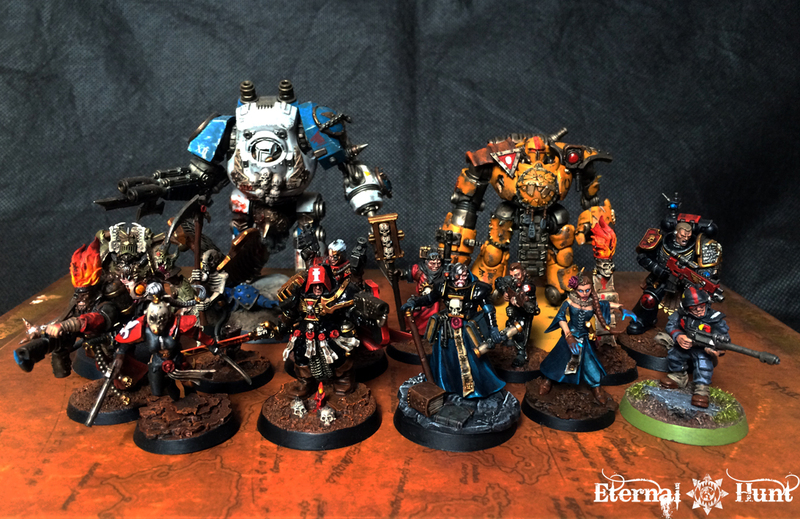 The former GW employee has been responsible for a stunning number of rather spectacular army projects over the years – off the top of my head, his completely kitbashed Legio Custodes army, back from the days when absolutely no Custodes models were available, are probably the project that has stayed with me for the longest time. But anyway, and you may consider this a disclaimer of sorts for the review that is to follow: I have been a fan of Dave’s work for years, so his name alone was enough to entice me to follow his Kickstarter campaign that would result in a book about the building and painting of wargaming armies, warbands or collections. The fact that I am also one of the backers of the book also means that I paid for my own review copy, so there’s that, too. Before we begin, let me mention that I bought the physical book, because having a showcase of Dave’s best work in print was basically the main draw here. A digital edition of “Armies & Legions & Hordes” is also available both in PDF and epub formats, as far as I am aware, but I won’t be able to talk about those. “Armies & Legions & Hordes” is a book about the collection and completion of tabletop wargaming armies and similar projects, and as such it serves as a fairly comprehensive collection of advice on every aspect that goes into the realisation of such projects, from the first spark of inspiration to the actual process of planning, building and painting the army and its models. Dave’s articles on those various steps of a project take us through each of the stages in turn, which makes for helpful and concise reading. Granted, you will have seen some of this advice before, but it’s great how concisely and comprehensively Dave has collected it in one place here. One thing that I found especially noteworthy – mostly because it never seems to appear in the articles on army building and painting I have read so far – are real-life factors everybody is familiar with, such as keeping an eye on the actual financial aspects of realising a new army project, taking the weather into account or making sure the people around you are onboard with your devoting a sizeable chunk of your time to The next big hobby project. All of this may seem obvious, but it’s great how Dave keeps stressing the fact that army building and painting doesn’t happen in a vacuum or in some kind of ivory tower of artistic endeavour, but has to be factored into everyday life – and everyday life, in turn, has to be factored into the process of army painting. The book addresses every step of the army building process in turn. Another great feature is that Dave actually illustrates the advice he gives with actual examples from the army projects he has worked on, warts and all. 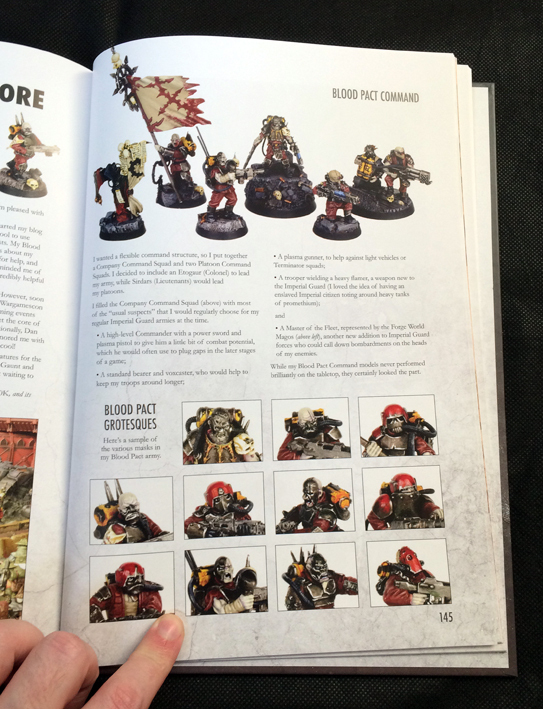 It’s all well and good to read GW’s tutorials, but seeing them illustrated with the same ‘Eavy Metal studio armies over and over tends to lessen the impact of the lessons a bit. 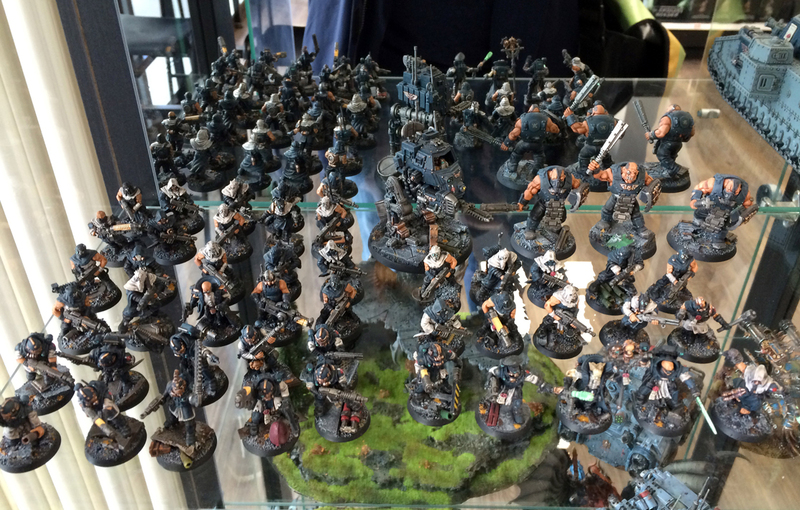 Dave’s projects, on the other hand, are all beautiful and stunning armies, but they seem “achievable” in the sense that they very much result from his planning and his approach to painting great looking models in a timely fashion. 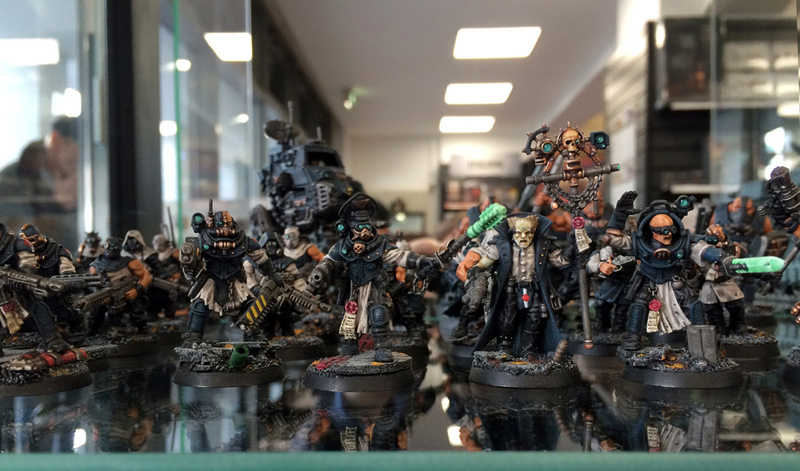 I would be remiss not to mention the fact that Dave has also enlisted the help of several guest authors (such as veritable army painting machine Mordian7th, for instance) who further explore specific parts of the army building and painting projects. All of this works together very well, and the clean, pleasant layout makes for a great read. Be aware, however, that this is NOT a book of step-by-step painting tutorials: While you’ll definitely be able to pick up a fair amount of neat tricks of the trade here and there, the focus is definitely on the planning, logistics and overall execution of the army building process rather than the step-by-step painting process on each and every model. 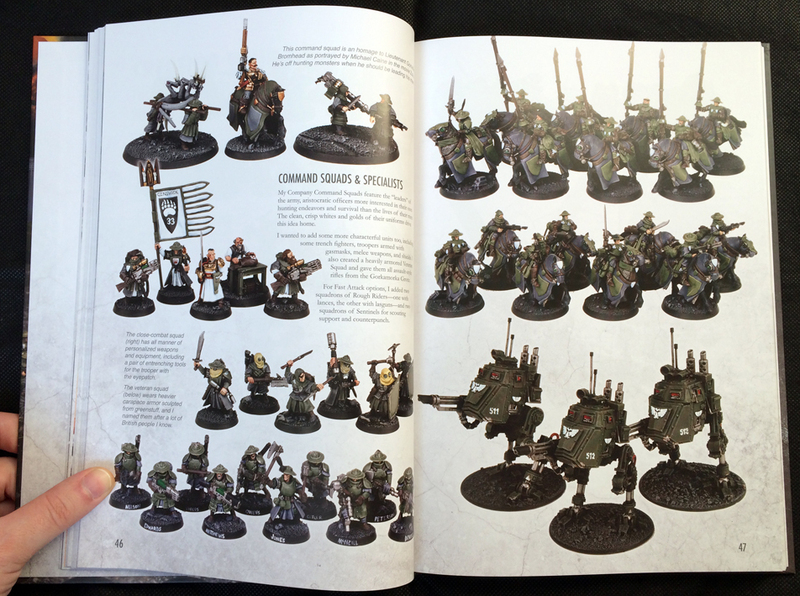 So the in-depth advice on how to build and paint armies is one big part of the book. 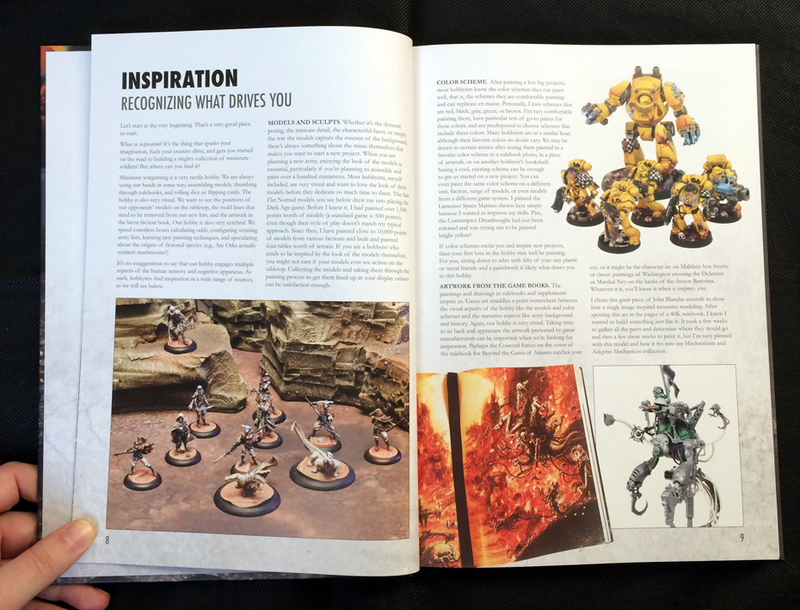 The other, equally important, part – and the one that actually made me purchase the book in the first place – are several in-depth and richly illustrated features on Dave’s various armies and warbands. There’s a healthy chunk of GW models on display here (and if, like Dave, you are a fan of Dan Abnett’s Gaunt’s Ghosts series, the book is basically a must buy, simply because so many armies and characters from the books, such as the Ghosts themselves, the Blood Pact, the Volpone Bluebloods or the Genswick Rifles, make an appearance). 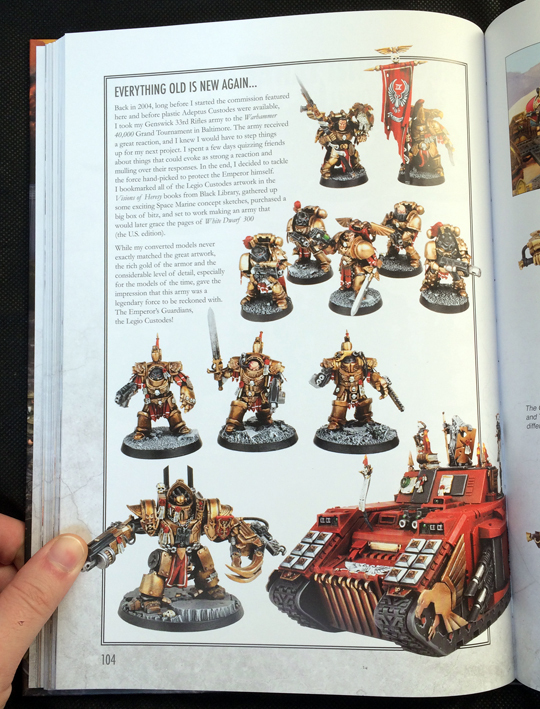 At the same time, there are also quite a few features on non-GW armies, ranging from Dark Ages to historical tabletop games such as Bolt Action or Flames of War. 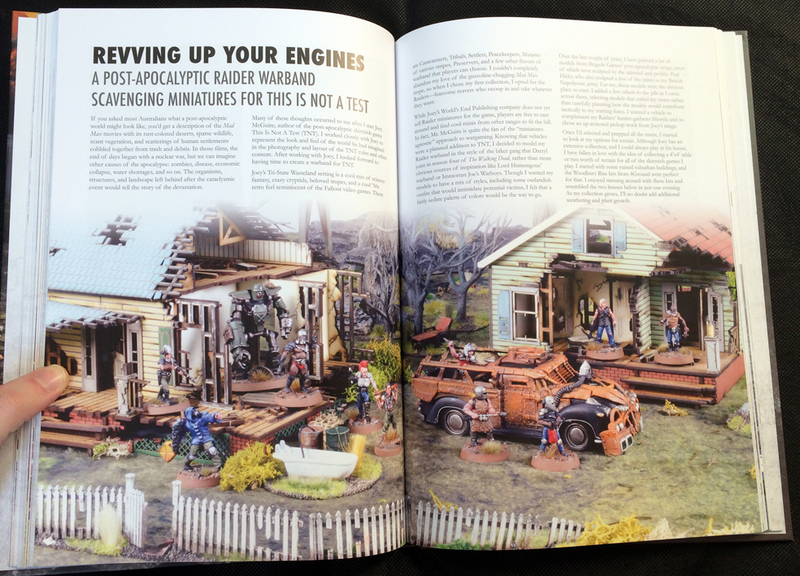 Of particular note is an article on assembling a warband for the postapocalyptic game system “This Is Not A Test” and scrounging around for models across several product lines and manufacturers. 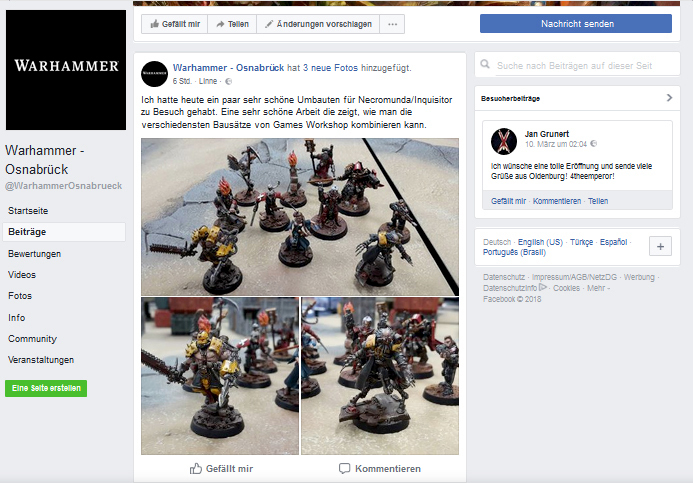 The non-GW content makes for a nice bit of variety – and for a broader perspective on our hobby. 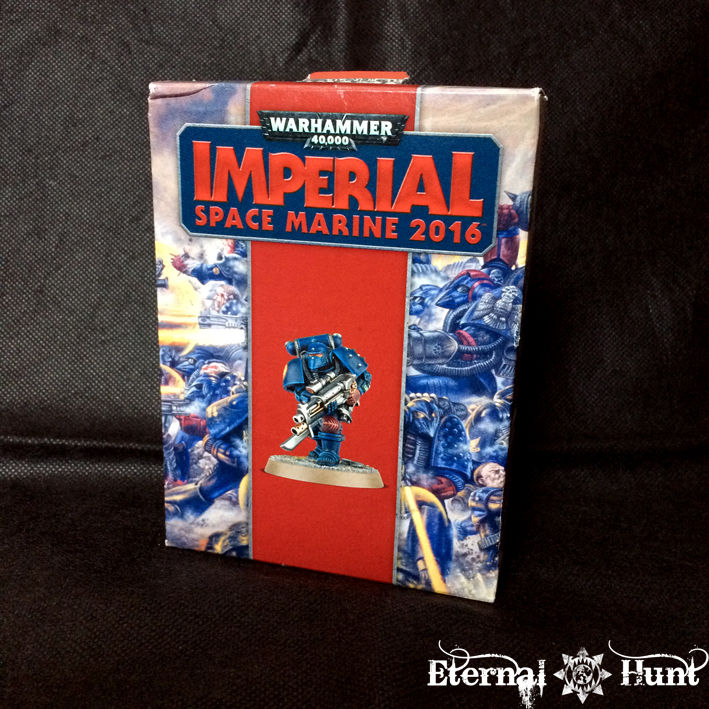 Make no mistake, though, GW-related armies certainly form the biggest part of these features, so your mileage may vary as to how that influences your interest in the book. Dave’s classic Custodes army. I would have loved to see more of these guys! The first issue is Dave’s Custodes army, the aforementioned tour de fource of kitbashing an entire army, back when no official models were available back in the early 2000s. 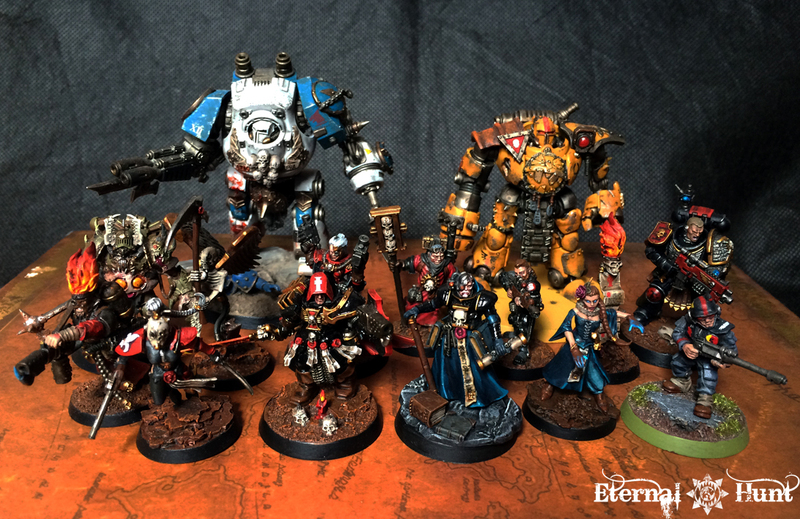 I was really looking forward to seeing it featured in detail, and learning – during the book’s production process – that the featured Custodes army would actually be Dave’s “reprise” from last year, utilising all of the new GW and Forgeworld models, was a bit disappointing: Make no mistake, the resulting army is looking great – it just doesn’t share the same sense of wild creativity the kitbashed Custodes had. 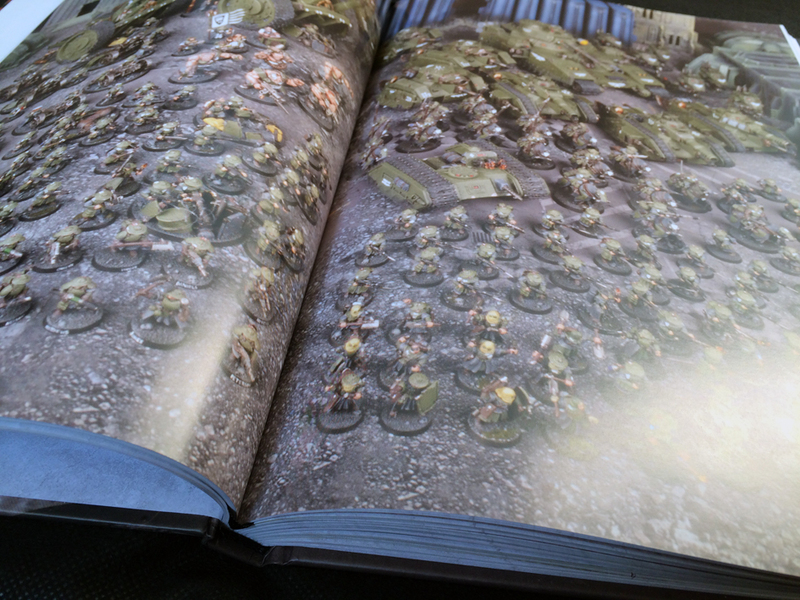 That being said, the original army still gets about one and a half pages of presence in the book, so that’s mostly alright with me – still, I actually feel the inclusion of the original army would have made the book even better, as it would also have served as a great best practice approach to building armies that are very faithful to a setting’s lore while also working around the fact that no official models exist (yet). This is certainly not a dealbreaker for me, but it does seem a bit unfortunate. It has to be said, however, that Dave Is very much aware of the problem and is already working on a solution – for the early adopters, this will likely mean that they receive access to Dave’s original, high res pictures in a digital format, which sounds like a sensible solution. This also touches upon another factor that I think is important here: During the entire planning and production process of the book, Dave was always very upfront with the state of development, provided regular feedback on the state of the book, and the finished product was delivered mostly on schedule, with the exception of a small delay that it seems was basically out of Dave’s hands, though. So I would back another Dave Taylor Kickstarter anytime, because this one definitely delivered on everything that was promised. Dave Taylor has managed to collect a rather comprehensive set of advice on army building and painting, has topped it up with lots of drop-dead gorgeous army features and has added great production values to the mix: This book will look great alongside your official GW publications as welll as hardcover army, rule or sourcebooks. 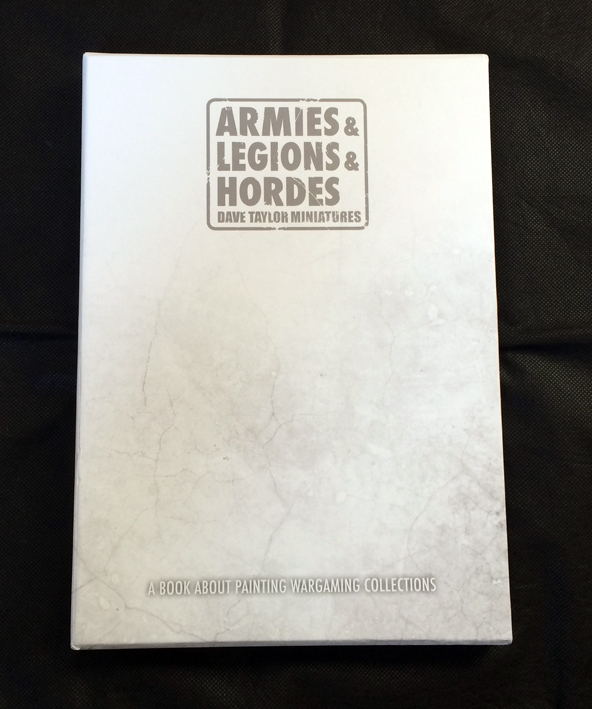 It’s a wonderfully comprehensive package, and a swell addition to any hobbyist’s collection, so I am more than happy with my investment and happily consider “Armies & Legions & Hordes” totally worth it! For those who have missed the Kickstarter campaign, you can get the book here, for instance. 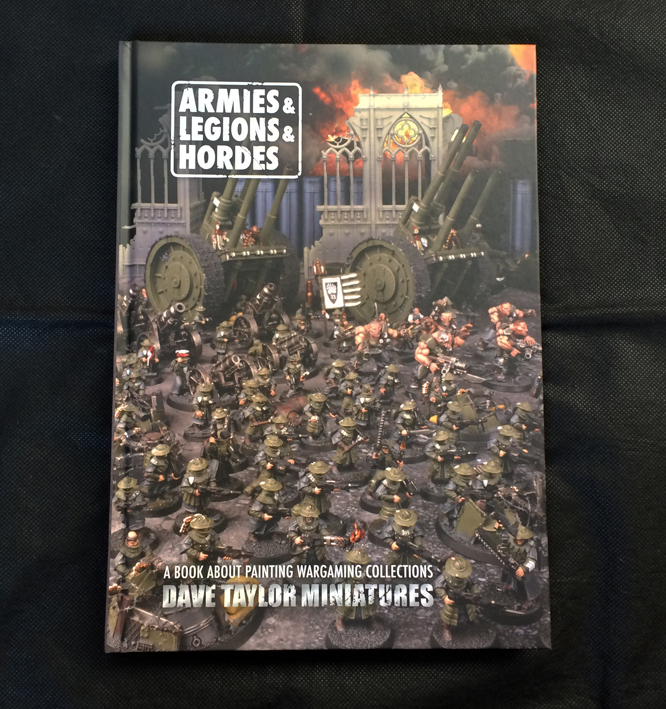 So much for my thoughts on Dave Taylor’s “Armies & Legions & Hordes”. I hope you’ve found this review helpful! Please feel free to let me know what you think in the comments! And, as always, thanks for looking and stay tuned for more!